Look at the concentration face! Bless her. I read a tip about leaving the skin on the avocado to make it less slippery to hold. 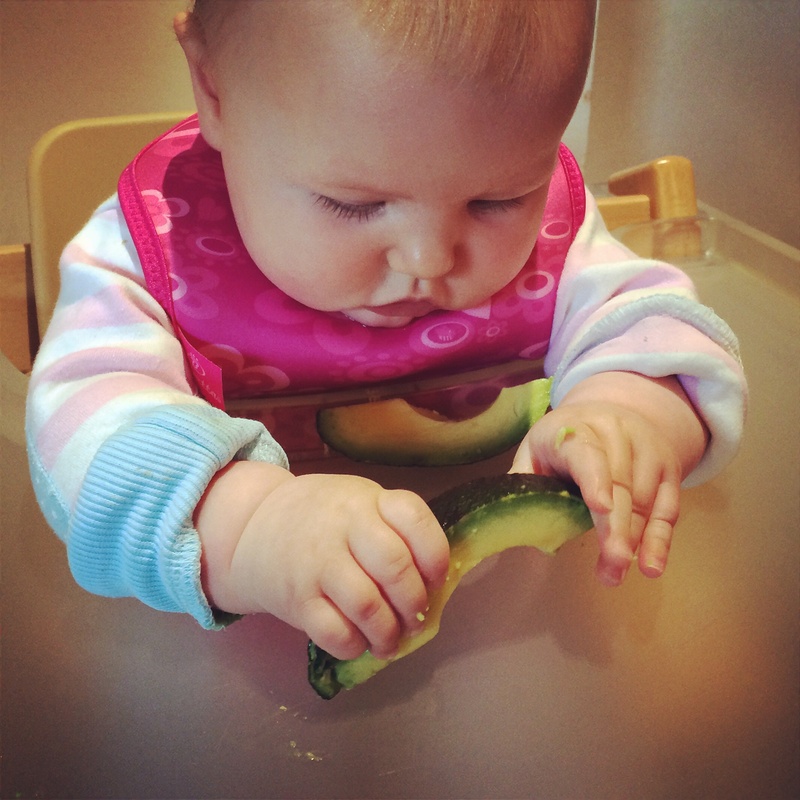 Ruby wasn’t really in the mood for eating today but she had a taste of the avocado and also some cucumber before swiping it all on the floor.